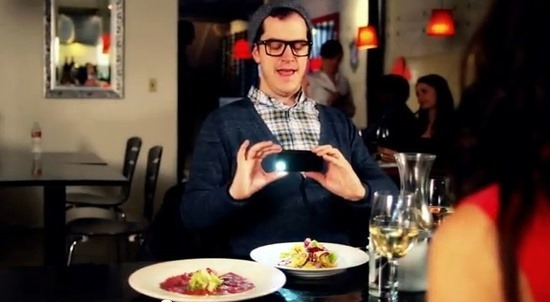 Only a few years ago, many restaurants frowned on people taking pictures of their food. David Chang’s Momofuko Ko for years banned photography, and Alinea, until recently prohibited the use of flash. But all that has changed. 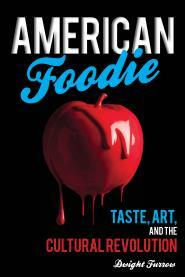 …chefs are much more focused now on sending out food that photographs well. So I end up eating a lot of flowers and leaves that don’t really taste like much but make the plate more colorful, because most cooked food is brown. Ditto all the boards and slates and rocks that are being asked to stand in for plates. I never understood why people were so put off by photography in restaurants. It’s very difficult to remember flavors and ingredients when dishes are unfamiliar and complex. Having a photo of a dish is a memory aid. For those of us who write about food it is essential. As long as the photographer isn’t interfering with other diners, I don’t see the problem. So thankfully the moral panic over food photography is over. Since it has become a marketing aid everyone is cool with it.